Can I insert my social media channels on account level and use them inside my templates? How can I easily manage and use my social media channels ? 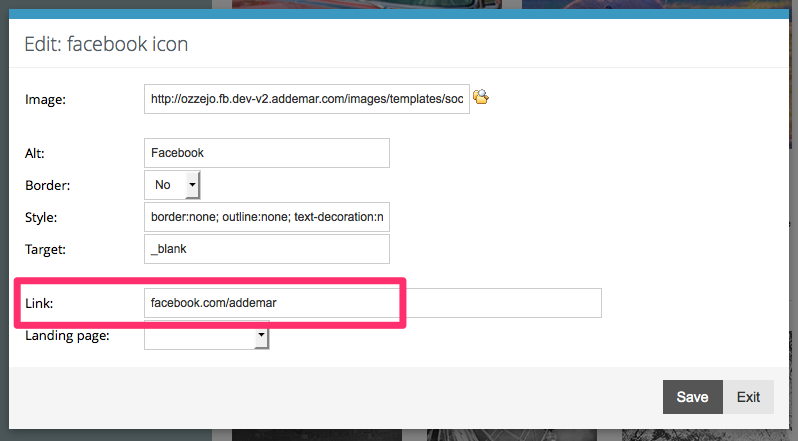 With our new creation feature you have a flexible way of adding different social media blocks. To make it even easier for you to create nice looking marketing campaigns which redirect towards your desired social media channels. We have added an account settings functionality where you can manage your social media channels. You need to navigate to My Account - Settings. Once clicked the link, a popup will open up. In this popup you can manage your different default text settings. We have added a Social Media tab here. Click the tab to manage your different social media channels. Click Save to store these links. When you now create a new email marketing campaign with our new creation feature and you add a social media block. The social media links are already filled in automatically. How can I share my email content on social media? How do I manage my Agency Account? Activate a new setting in your account.